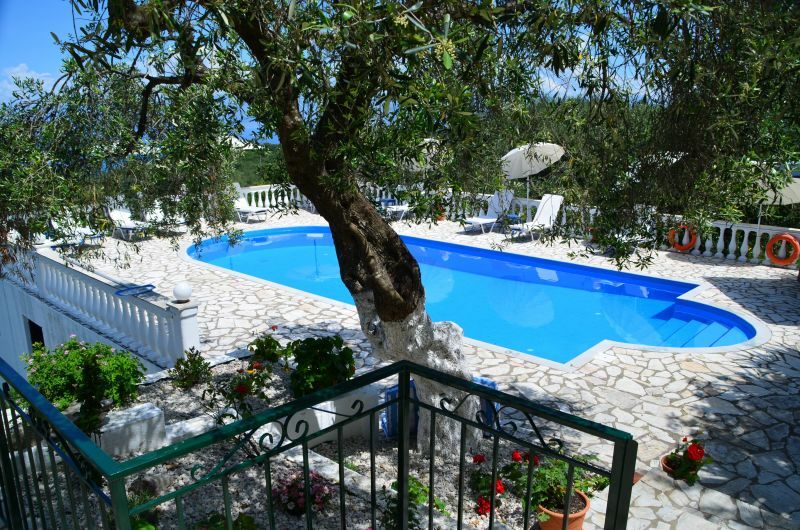 Villa Kitrini (The Yellow Villa) is situated in the North-East corner of Corfu Island on the outskirts of Loutses village. 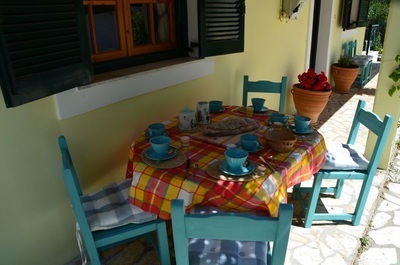 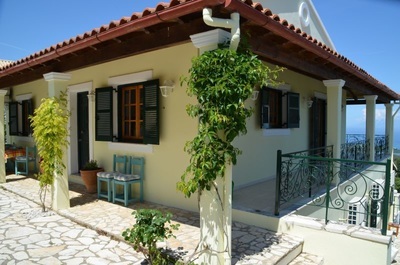 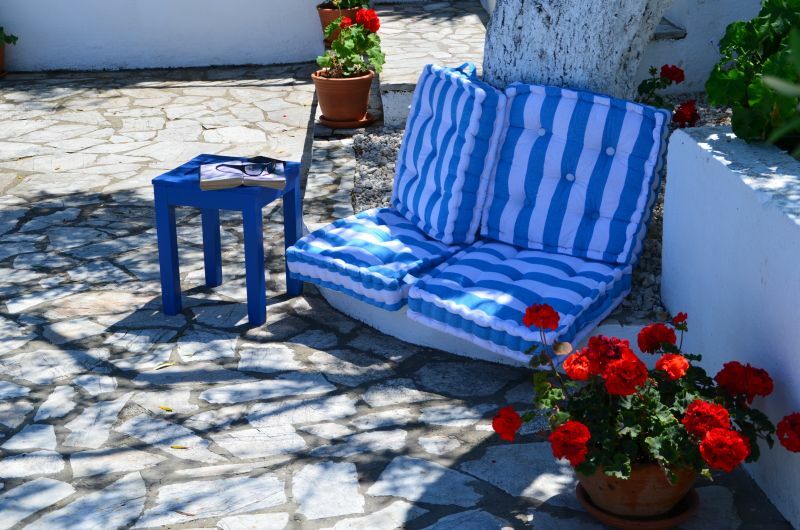 It is approximately 45 minutes from Corfu Town and airport. 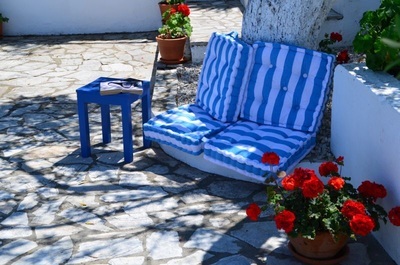 It sits in its own grounds of about 1 acre, in an elevated position, nestling in the hills amongst olive groves, boasting a magnificent view across the Ionian sea to the mountain ranges of Albania. 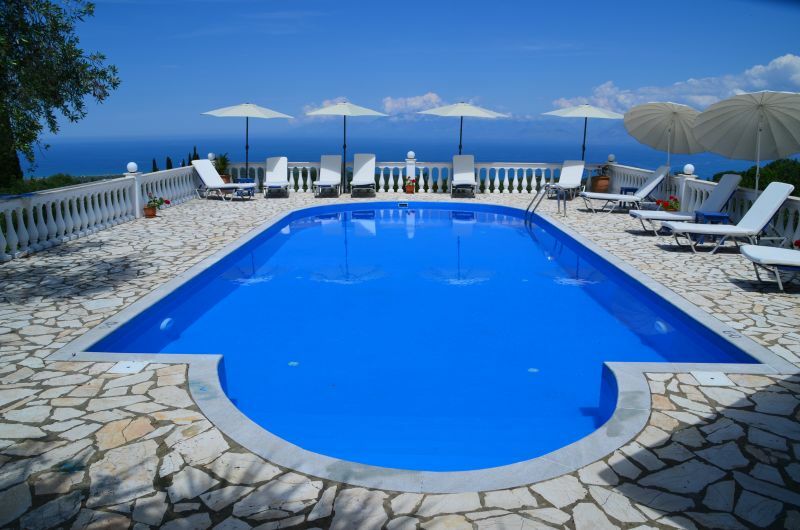 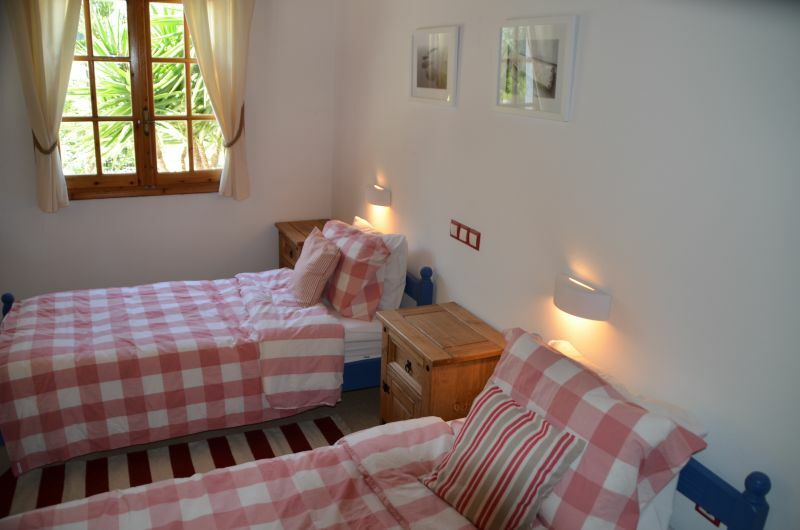 The villa sleeps up to 10 people in comfort and has a lovely swimming pool to relax around with sun beds and umbrellas. 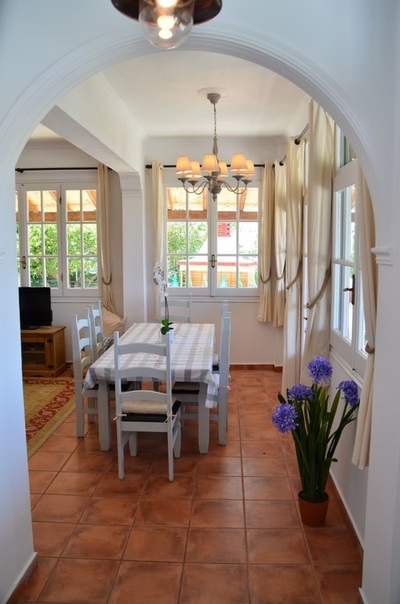 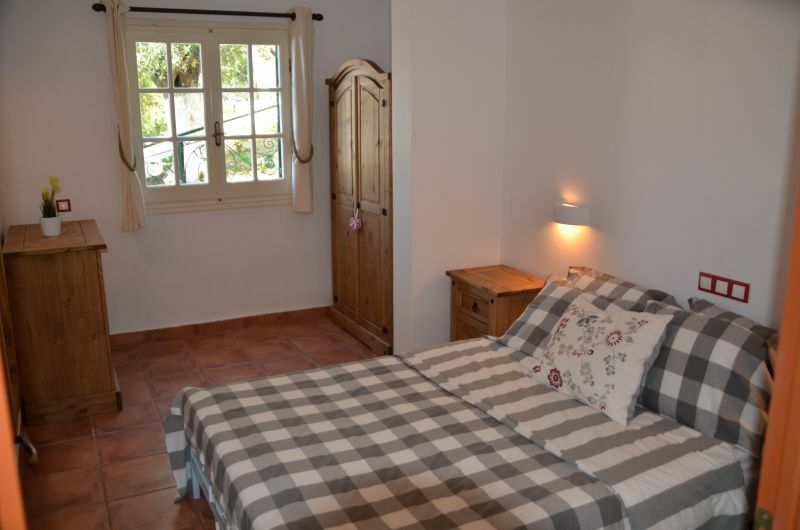 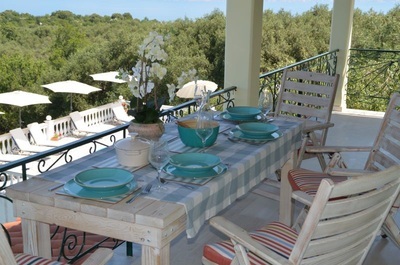 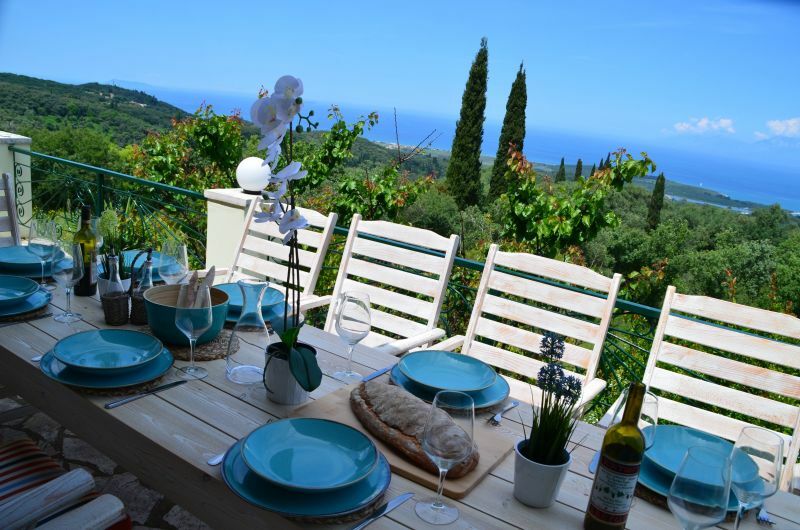 The upper floor has two double bedrooms, one with two single beds and one with a double bed, en-suite bathroom and doors to a balcony, which has a fantastic view across the olive groves to the sea. 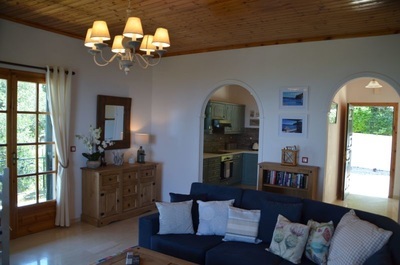 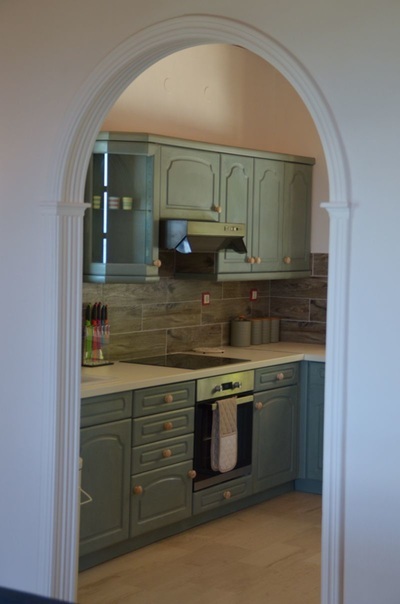 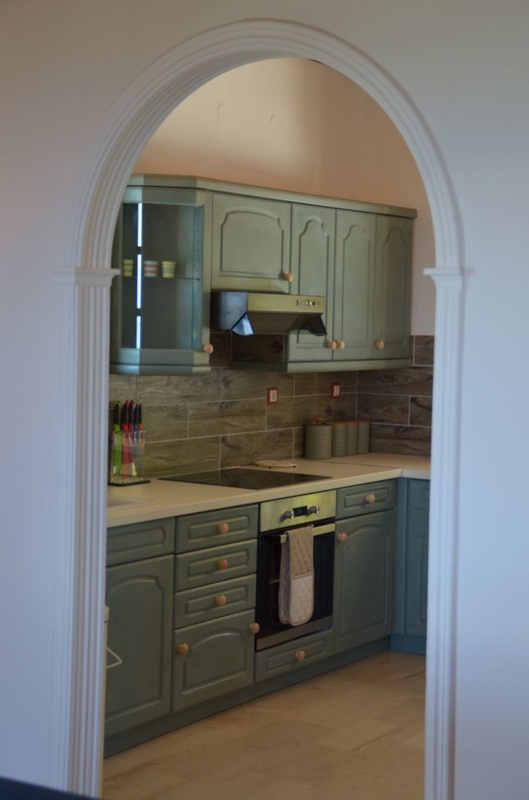 There is also a main bathroom, a fully equipped kitchen including a microwave oven and a lounge/dining area with doors to a balcony which lead to steps that go down to the pool. 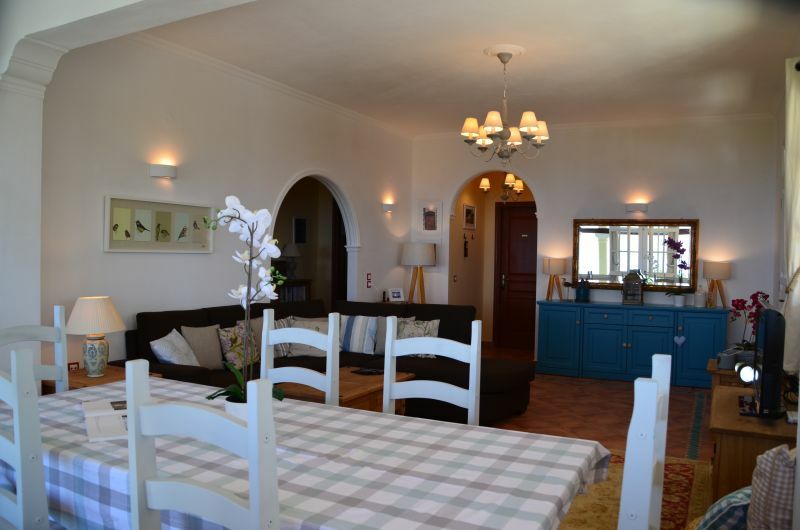 The ground floor has three double bedrooms. The main bedroom has an en-suite bathroom and there is also a family bathroom with a shower and bath. There is a large living/dining room, which has a panoramic view across the Ionian Sea, and a fully equipped kitchen including a washing machine, dishwasher and microwave. 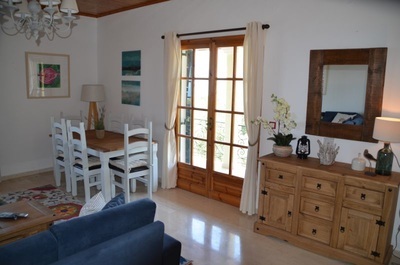 From the living room and kitchen there is a large patio area with steps leading to the swimming pool, which has a large sun-deck for sunbathing and there is also an area of shade. 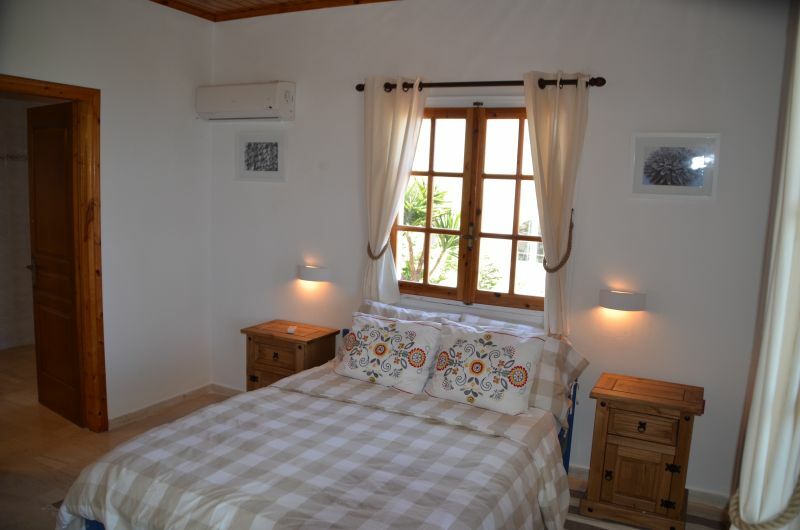 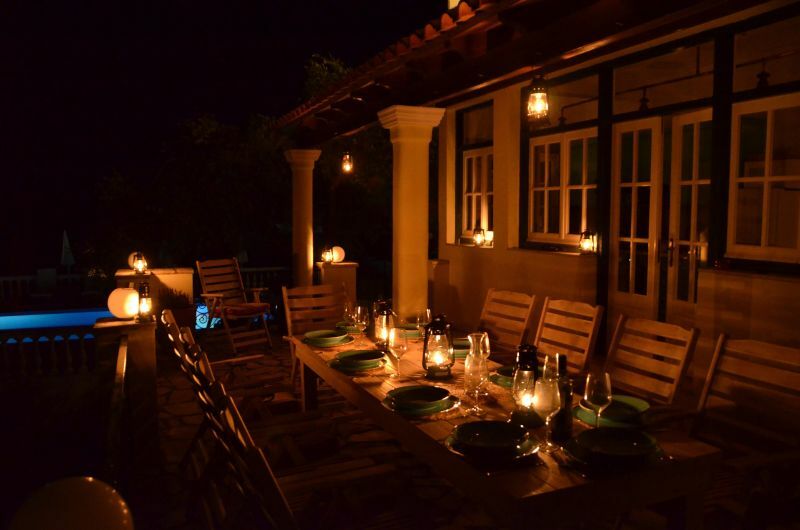 ALL THE BEDROOMS HAVE AIR-CONDITIONINGThe villa sleeps 10 people comfortably. 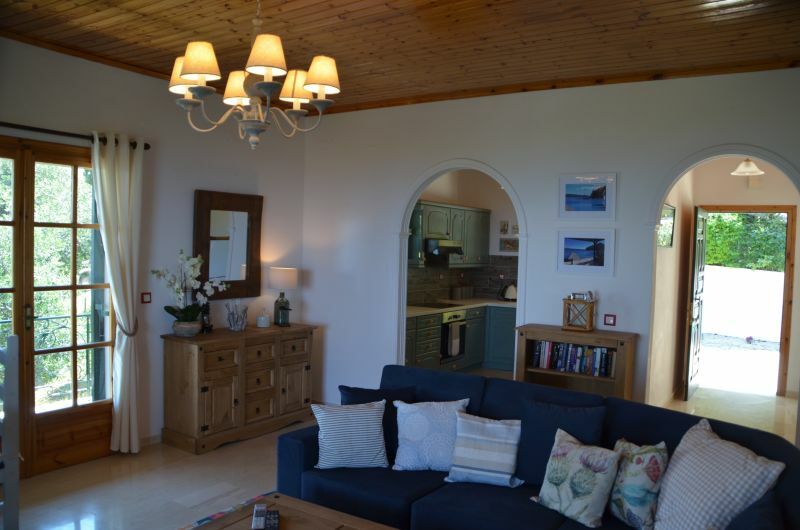 Both upstairs and downstairs have a TV, DVD player and Hi-Fi system and the villa also has wifi. 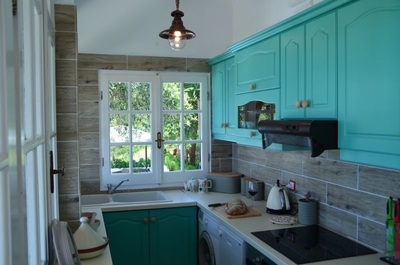 All linen and towels are provided, but we do ask that you provide your own towels for use on the beach or to take on boat trips. 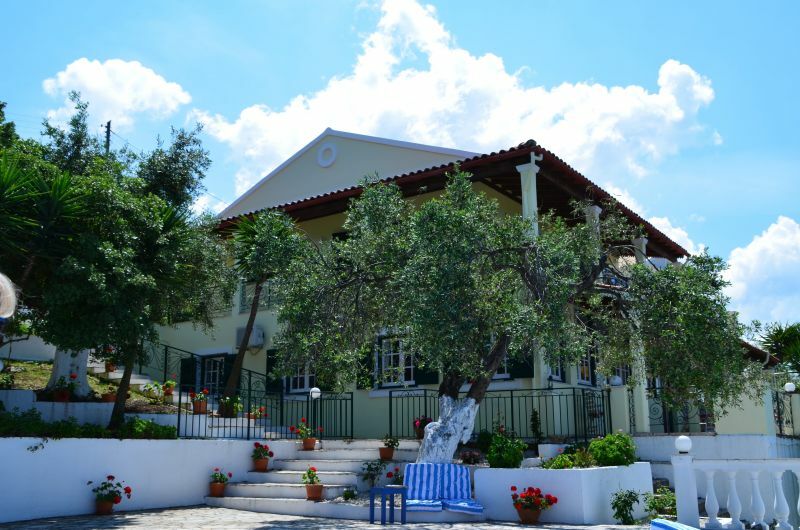 Just a short walk up the hill from the villa is the village of Loutses where there is a traditional taverna and bar. Loutses also has a cave which is very interesting. 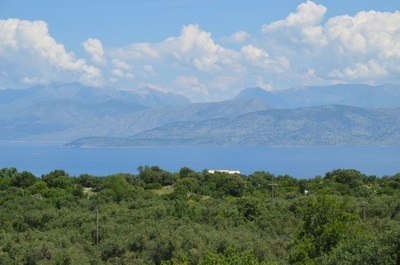 A short drive further up the hill will take you to the now deserted (except for a couple of nice tavernas ) village of Old Perithia. The residents of Perithia moved up there to escape the pirates several centuries ago and moved back down when it was safe, abandoning their homes. 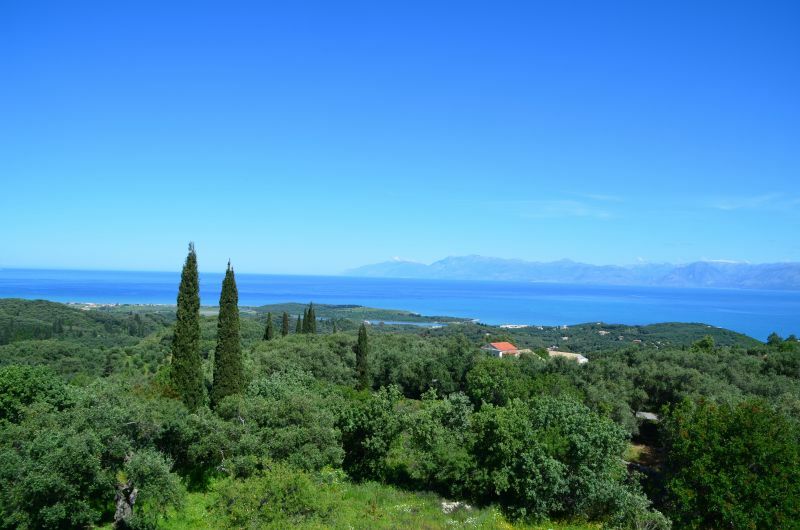 Kassiopi has a picturesque harbour where you can take a boat trip into Corfu Town or Paxos or hire a small boat to explore the coast line. 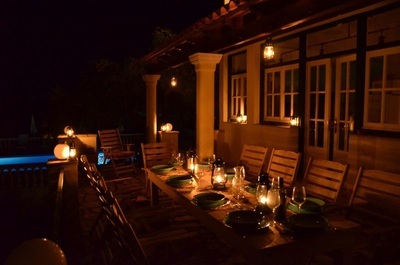 It is also a nice position to have a meal or an evening drink.